Should I Get an Island or Peninsula in my Rectangular Kitchen? 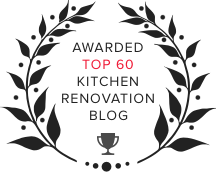 Before we get down to the nitty-gritty, let's explain the difference between a kitchen island versus a kitchen peninsula - for those who stumbled across this blog by divine providence. 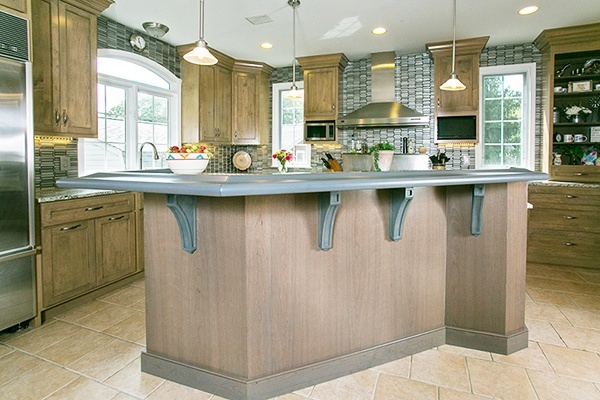 A kitchen island is a separate four-sided entity that floats in the middle of the kitchen. View a kitchen island here. 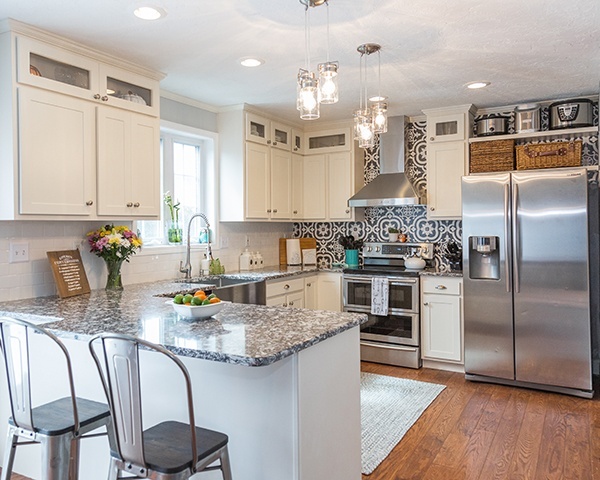 There is access on all four sides and, depending on the size of your kitchen and/or your needs, you can incorporate cabinets for extra storage, shelves to house smaller kitchen appliances or cookbooks, and an eating area with bar stools. A kitchen peninsula is attached to a wall on one side, so there is only access from three sides. Here is a good example of a kitchen peninsula. You can also have cabinets, shelving, or an eating area with bar stools but it depends on the size of your kitchen and how much "walk-around" room there is. How Big is Your Kitchen? What it really boils down to is space; the larger your kitchen, the more space there is to accommodate an island. If you're even the slightest bit "spatially challenged", you may think, "we have plenty of room to add a kitchen island. All those floor tiles are a big waste of space!" However, start opening your oven door, your refrigerator, a cabinet door, etc. and you can envision how a kitchen island may end up cutting into valuable space. Mealtimes will begin to feel like not-so-fun versions of Twister. If you have a smaller kitchen space, a kitchen peninsula will seem like a gift from the Kitchen Magic Gnomes. 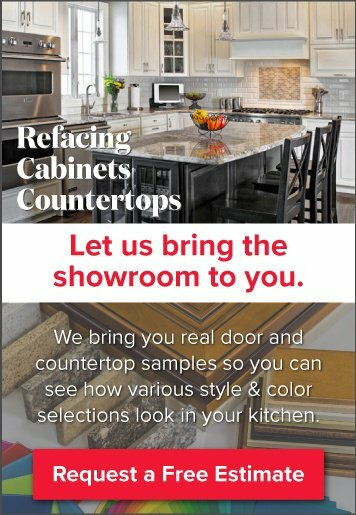 They significantly increase counter space and provide a surface which can be used for food prep, buffet style dining, or a place to pull up a bar stool and keep the kitchen workers company while you munch on delicious food. You can most certainly use the under-peninsula space for cabinetry. Another clever trick is to make the peninsula a foot or two shorter in order to have room for an extra chair on the end, as well as additional pass through space. If you're torn between the two, use graph paper to draw out a scaled version of your kitchen, counters, appliances and all. It can give you a good idea of which one will be the best use of your space. Still not sure, make an appointment and we'll be happy to help you make the best choice.